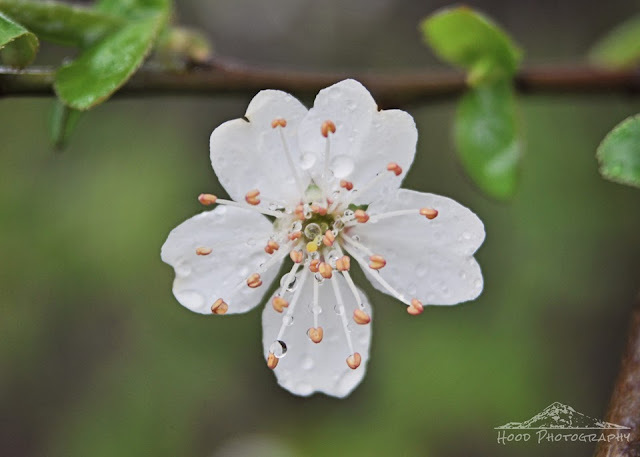 Here is another macro of a plum tree blossom after a sprinkling of spring rain. I'm loving all the trees in bloom right now! Wish I had more time to photograph them all. Calling by from iheartmacro, what a gorgeous capture. Plum tree blossoms never cease to amaze me. This is a beautiful capture. I hope you have a wonderful week! Twice as beautiful with the tiny drops. So delicate and so pretty.Just beautiful. Wow! Now that is a tough shot to capture (white and water droplets) and you did it well. Gorgeous flower! Lovely caught - with drops in the stamens!